1st album of French monolithic doom originally released in 2003. This is 2013 reissue with new artwork. 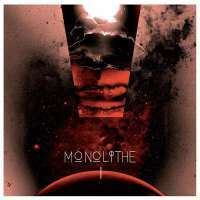 It's part of Monolithe saga which dispatched over 4 full length and 2 EP. All 4 albums contain only 1 song which lasts over 50 minutes. Yes, the song is extremely long but there are a lot of changes in the song, so you may not think it's too long. To listening to this album is something like a journey into cosmos!